← What is a Colocation center? You never know when a disaster can ruin your business plans and future, specially when your business data is stored in a Data Center or Colocation Center. 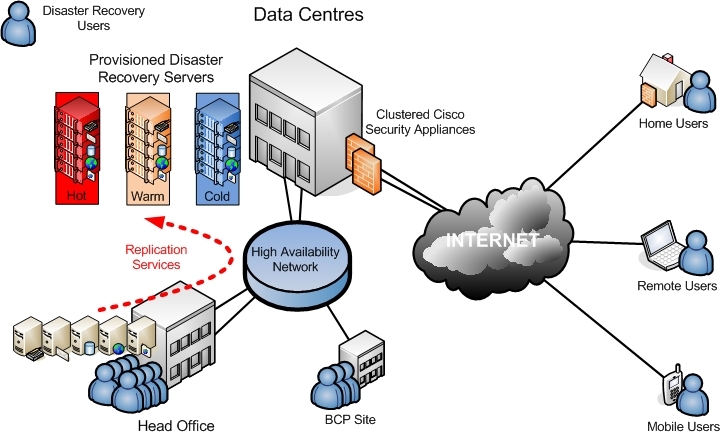 Not looking for a data center disaster recovery plan. Many of us believe that a disaster is the least thing which will happen to us. Other point is we feel that we don’t rely much on soft data. Most of us who are not aware of the working process of a Data Center think that a data center disaster recovery plan is not at all practical. Below are few of the points which will make you to focus on the fact that Data Center Recovery Plans are indeed practical. File Security: Confidential or top secret files needs security and safety. Viruses and Worms threats act as the biggest threat to these files, not only slowing your business but also affect the output quality. Solution is of you have computer backup in the Data Center you will not have to worry about these problems. Computer backup system will save your files from worms or viruses attacks and also restore corrupted files. Thus allowing your business to keep going with your quality of production. Affirmation: If your customers are aware of the fact that their data will be safe in data center they will be happy to do business with you. A Data center disaster recovery plan will not only help you to be loyal to your existing customers but it will also be helpful as a major selling point to new clients looking to expand their business. If Disaster Strikes: You will be extremely happy to know that your data is safe with backup on online computers, when the data center is hit by a natural disaster. All of your lost data will be restored as soon as possible. Savings: Yes that is true, bucks loosed while registering for a data center disaster recovering plan are much less than what you may loose if your data is destroyed in a natural disaster. Potency: Potency of your work will be boosted with the help of computer backed systems as these systems will quickly restore the damaged and deleted files. These backed systems are so quick that they barely five a chance to the customers to notice the change. So, next time when you are registering with Data Center services provider, make sure they have Data Center Disaster recovery plan to make sure your data is safe even in a natural disaster. This entry was posted in Data Centers India and tagged Colocation Services India, Data Center India, Fully Managed Data Center. Bookmark the permalink.